**Affiliate links are present in this post, which means when you purchase something from the link, you're supporting my blog (with no extra cost to you!). 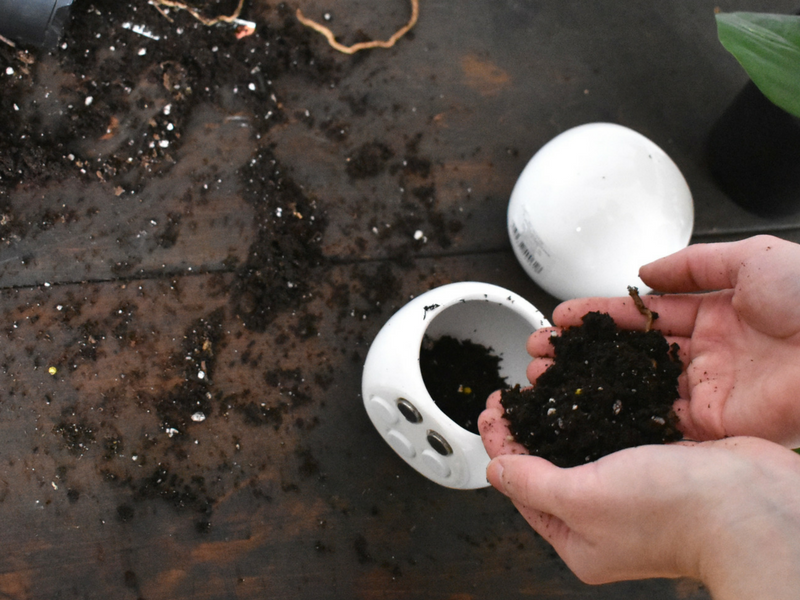 The real reason I was able to do this DIY was because my husband, Devin, helped me--he's the one who found the planters, who saw that they were magnetic, who helped me mount them, and who encouraged/heckled me while planting them ("this is for the blog, right? hashtag vertical gardens, hashtag garden up, hashtag urban farming"). 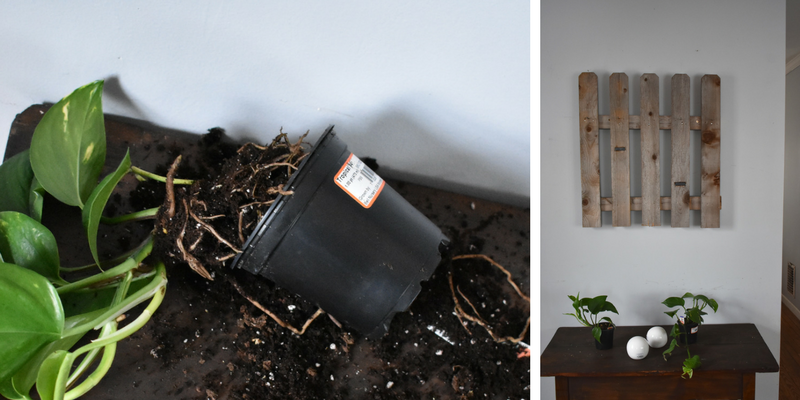 This whole project came from a date to Home Depot, when, after looking for electrical supplies, he suggested we look at plants (hi, it's me here, the one with a new favorite hobby, as seen in this succulent post and other posts on Instagram). 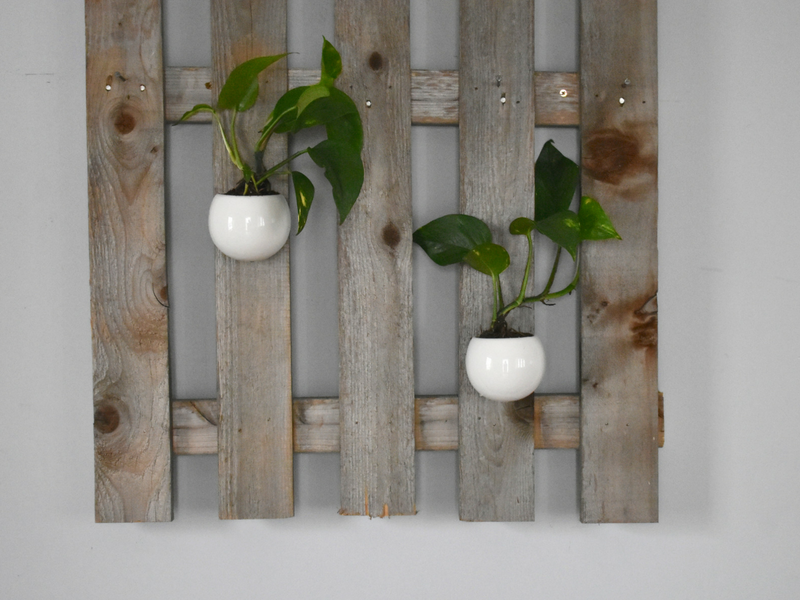 It was sweet, us walking through aisles of potted plants and coming up with this project! 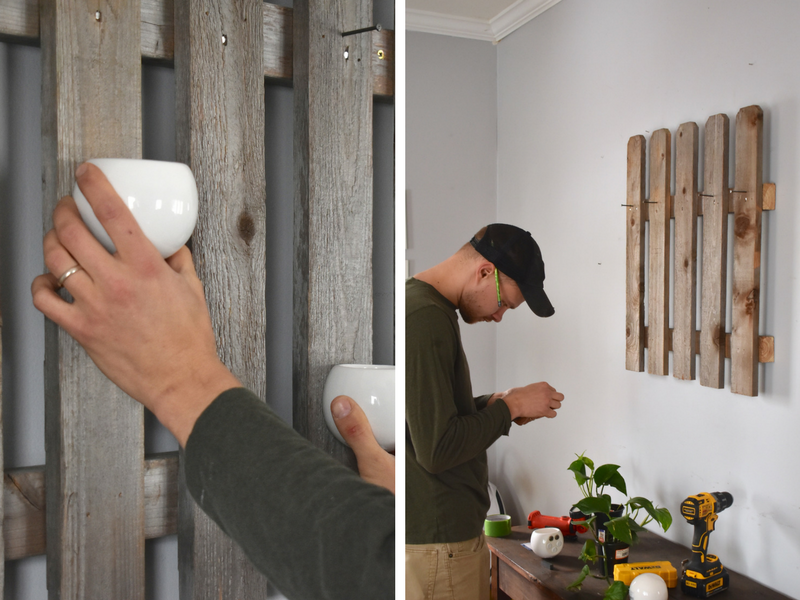 Because the $2.50 pots from Home Depot were magnetic, we had to use magnets to mount the plants on our fence piece wall decor (a.k.a. 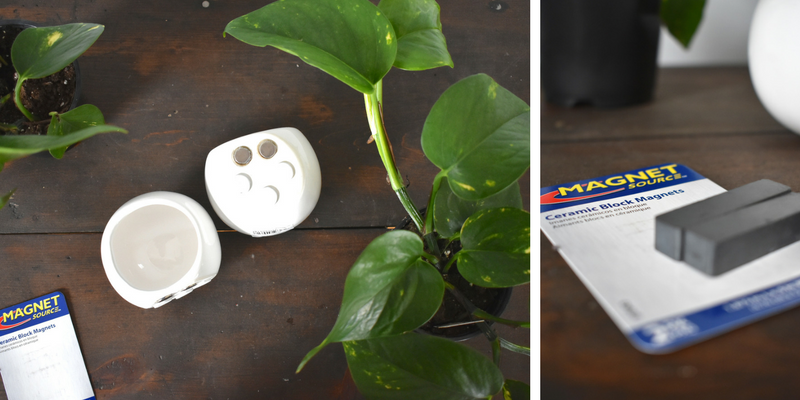 our stocking hanger) which might be more difficult if you're attaching planters just to your wall, and not a magnetic surface like your fridge or another magnetic surface. 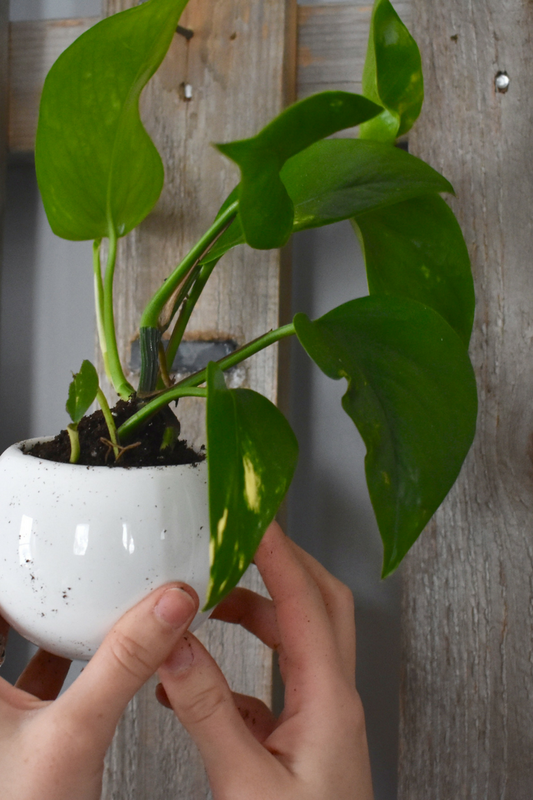 That's why I've linked up some other easy-to-install wall planters that you can screw right into your wall! ...And then he used a fancy spray super glue thing to secure the inset magnets. 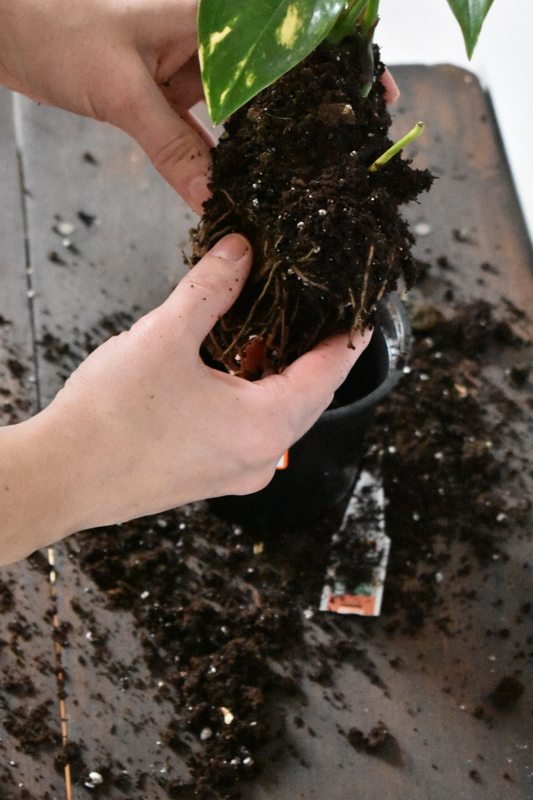 Then, I watered them so the plants wouldn't go into "shock" at being transplanted. 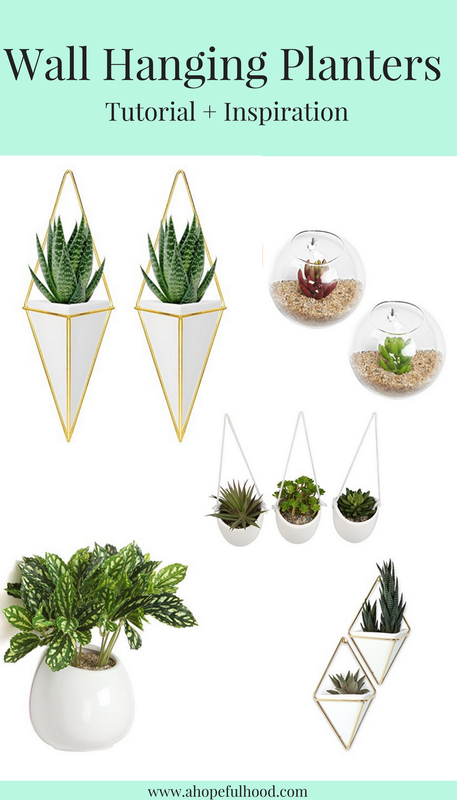 What are your favorite ways to decorate with plants?